How do I Play Audible on Sonos? How to Play Audible on Alexa? Can You Listen to Audible Books Offline? Audible has the world’s largest selection of audiobooks and original ad-free audio shows. Therefore many people would like to listen to Audible audiobooks with their devices. In this guide, we would like to introduce you some best MP3 players for Audible audiobooks of 2019. Just check the content below to learn these Audible MP3 players. Let’s firstly get into Audible. Owned by Amazon, Audible is the largest audiobooks seller in the world. It sells books by major publishers, and also offers a deep catalog of podcasts, romance authors, and a budding list of exclusive series. When a writer finishes a book, his or her agent will sell the rights to produce the book onto audio type (not printing type). The studio that has purchased the audio right of this book will record the audio book, including working with voice talents to record the reading, doing sound editing, etc., and make the book available to distributors. Audible is one of those distributors. One you have purchased audiobooks from Audible, they will be delivered to your account and would be yours forever. These audiobooks from Audible are mostly DRM protected. You can then listen to the book using the Audible app on a variety of devices, including your computer, phone, tablet, or even some e-readers. Audible allows you to start listening to audiobooks with a free 30-day trial, in which you can get one book and up to two Audible Originals. After the trial period, if you still want to subscribe Audible, you need to pay for the subscription at $14.95 per month, which gives you one credit you can use to pick up a book and two to use for Originals. Most books are one credit. You could listen to Audible audiobooks on devices with Audible app or many other MP3 players that are compatible with Audible. Or, you could also make use of Audible to MP3 converter tools to listen to Audible audiobooks on MP3 players that are not compatible with Audible audiobooks. Here, we would like to recommend you 6 best MP3 players for Audible audiobooks in 2019. All these MP3 players are compatible with Audible audiobooks. You could directly listen to Audible audiobooks on these MP3 players. SanDisk Clip Jam comes with 128*64 OLED screen, 8GB storage and up to 18 hours battery life. 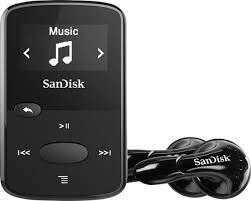 SanDisk Clip Jam supports MP3, WMA (NO DRM), AAC, WAV and Audible (DRM only) as well and you can get one from $29.99 – $39.99. SanDisk Clip Jam is still available in SanDisk official website. 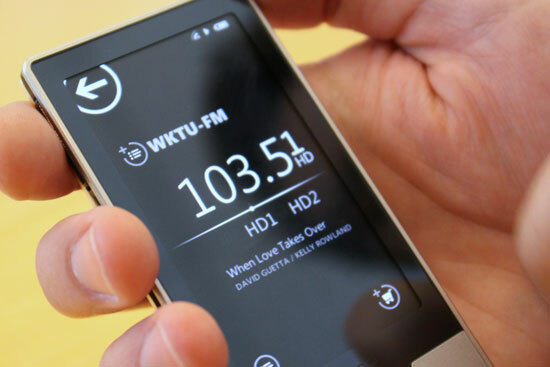 The ease of using the click wheel (for the refurbished one) to control backward and forward while listening to an audiobook is one of the reason this MP3 player stands apart from the rest. Besides, it’s in small size with a long batter life (30 hours) and large storage capacity (16GB). 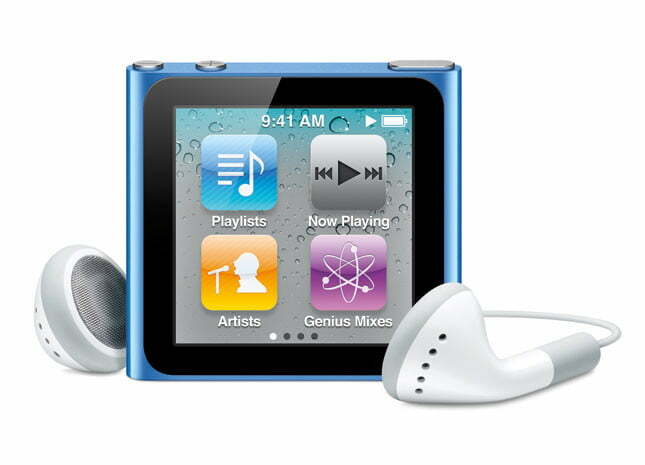 You can now get the new iPod nano at $149 in Apple store. iPod Touch 6 comes with iOS system and allows you to install various apps, connect to Wifi connection and do many things than other MP3 players. iPod Touch 6 comes with 4-inch (diagonal) widescreen display with Multi-Touch IPS technology, 1136-by-640-pixel resolution at 326 ppi, A8 chip with 64-bit architecture and M8 motion coprocessor. 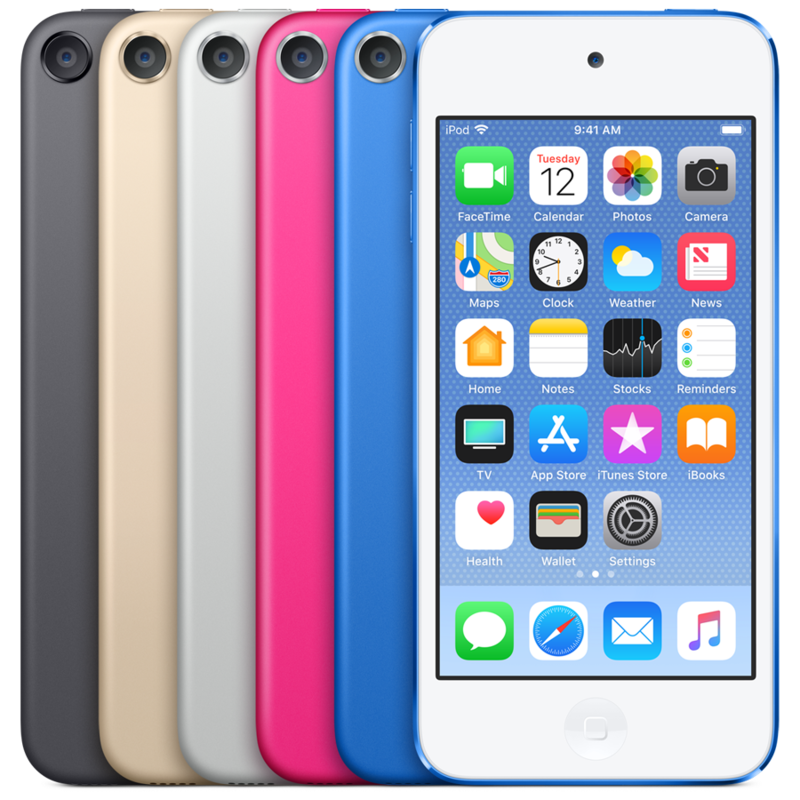 iPod Touch supports AAC (M4A), protected AAC (M4P), Apple Music (M4P, if subscribed), MP3, Audible (formats 2, 3, 4, Audible Enhanced Audio, AAX, and AAX+) and Apple Lossless, AIFF, and WAV. iPod Touch 6th 32GB costs $199 and 128GB costs $299. Among all the 5 best MP3 audiobook players listed here, Zune HD might be a little more pricey for a 32 GB Zune is selling at $348.89. But the best part is that it will automatically resume where you left off from each audiobook so there are no bookmarks needed. Creative Zen is a series of MP3 Players developed by the Creative Technology Limited in Singapore. It is very small in size only 60 grams but it has powerful features. The capacity is 32GB. You can even insert a SD card to extend the memory. Creative Zen has a long lasting battery which guarantees 25 hours of continuous audio play. It supports all kinds of files like AAC, WAV, WMA, MP3 and audiobooks from Audible, Overdrive etc. The best feature of it is the bookmarking, making it most convenient ever to enjoy audiobooks. But it doesn’t support Wifi or Bluetooth. 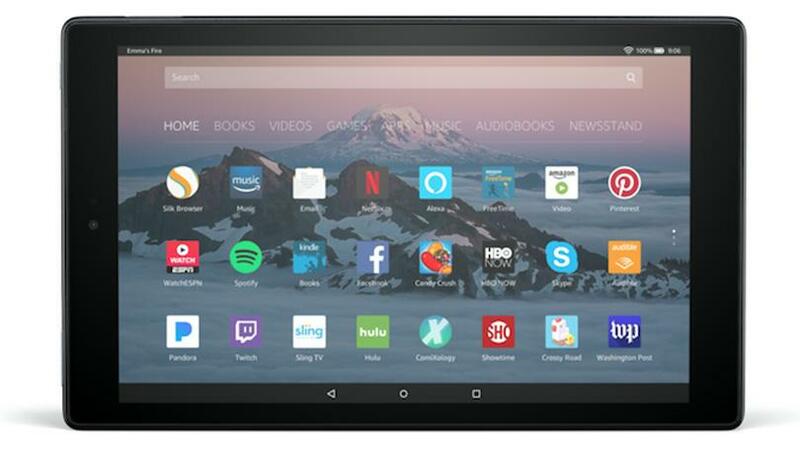 The Kindle Fire, an eReader from Amazon, includes features normally reserved for tablet computers. Running on a modified version of Google’s Android mobile operating system, the Fire is a major upgrade to previous Kindle readers. Its low-end price point makes it a great value for anyone looking for a way to surf the web from the comfort of their couch without paying an arm and a leg. To help you get the differences between the above 6 different Audible MP3 players, we have made a comparison table below. Check them below to get the points. AAC (8 to 320 Kbps), Protected AAC (from iTunes Store), HE-AAC, MP3 (8 to 320 Kbps), MP3 VBR, Audible (formats AAC (8 to 320 Kbps), Protected AAC (from iTunes Store), HE-AAC, MP3 (8 to 320 Kbps), MP3 VBR, Audible (formats 2, 3, 4, Audible Enhanced Audio, AAX, and AAX+), Apple Lossless, AIFF, and WAV. 2, 3, 4, Audible Enhanced Audio, AAX, and AAX+), Apple Lossless, AIFF, and WAV. As mentioned above, the above MP3 players are compatible with Audible audiobooks directly. 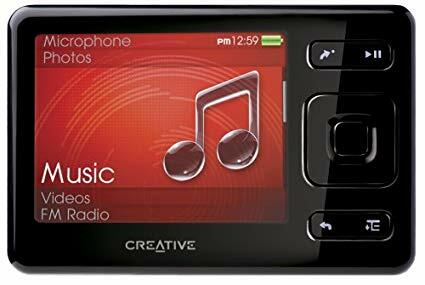 You could directly put Audible audiobooks to these MP3 players or install Audible app on these MP3 players to listen to Audible audiobooks on these MP3 players. However, if you currently have none of those Audible supported MP3 players, how could you listen to Audible audiobooks on MP3 players? Don’t worry. Leawo Prof. DRM would help you. All Audible audiobooks are DRM protected. To listen to Audible audiobooks on general MP3 players, you need to firstly remove the DRM protection and then convert Audible audiobooks to DRM-free MP3 files. Leawo Prof. DRM is just for such occasion. 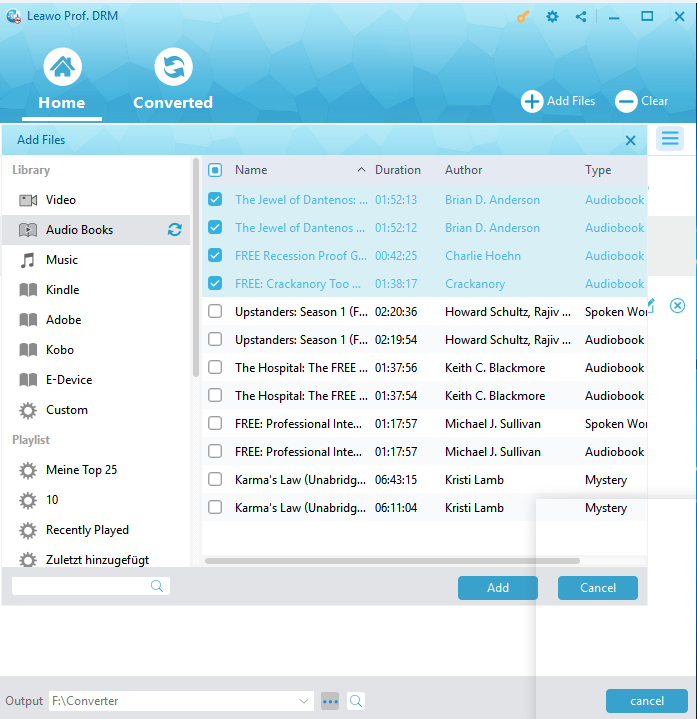 As a professional audibook DRM removal and converter, Leawo Prof. DRM could help you remove DRM from Audible audiobooks and then convert Audible audiobooks to DRM-free MP3 audio files for you MP3 player with ease. Below I will walk you through the whole DRM removal and conversion process of Audible audiobooks. You need to firstly download and install Leawo Prof. DRM on your computer. Step 1. Add your Audible audiobooks to the program. Start Leawo Prof. DRM on your computer. Click “Add Files” button on the sub-menu bar or “Add Files” button in the middle of program interface to add AA or AAX audiobook from Audible on the pop-up “Add File” panel. Choose at least one audiobook file and click “Add” to begin Audible audiobooks to this Audible audiobook converter. Note: When you try to import the Audible audiobooks to Leawo TunesCopy Ultimate, there might be a popup to require the authorization from Audible. It’s easy to authorize the operation. Just sign into Audible with your Amazon account when you are directed to the Audible’s website and the authorization is done. This step is optional. After adding source Audible audiobooks, click the pencil icon to set output audio parameters. You could adjust the Bit rate, Sampling rate and Channels. Then, move the mouse to the bottom to set output directory in the “Output” box. Make sure the target drive has enough space. After getting all things set up right, click the bottom right blue “Convert” button to start to convert DRM Audible audiobooks to DRM-free MP3 audio files. The Audible audiobook DRM removal happens in the background. When the conversion finishes, you could then freely import the converted Audible audiobooks to MP3 players as you like. With Leawo Prof. DRM, you could not only convert Audible audiobooks to DRM-free MP3 files, but also convert iTunes DRM audiobooks to DRM-free MP3 files, convert iTunes DRM video, convert iTunes DRM music, convert eBooks from Kindle, Kobo and Adobe Digital Edition, and download Spotify music. It’s a comprehensive DRM removal and converter tool you could get. Also, you could convert Audible audiobooks to MP3 players for free online with online free Audible audiobook converter tools. 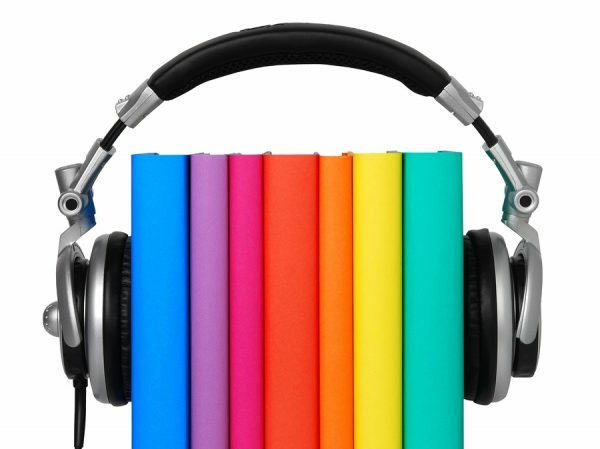 Here, we would like to introduce coolutils.com to show you how to convert Audible audiobooks to MP3 players for free online. 2. Click the “+Select Files” button to browse and upload Audible audiobooks from your computer. 3. 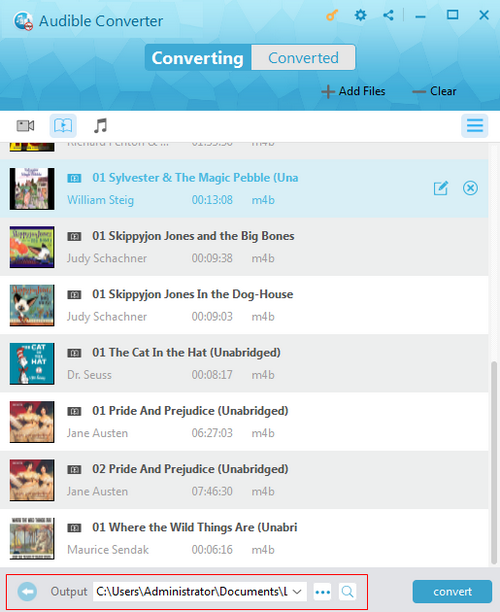 Then, after uploading Audible audiobooks, under the “Set convert options” box, select “MP3″ as output format. 4. Finally, click the “DOWNLOAD CONVERTED FILE” button to start converting audiobooks to MP3 for free and downloading the converted audiobook files to computer. Both Leawo Prof. DRM and online free Audible audiobook to MP3 converters could help you convert DRM Audible audiobooks to MP3 files for unlimited listening. However, most online Audible converters would restrict the source file size and perform poor in poor Internet connection. Some online Audible audiobook converters even can’t remove the DRM protection and fail the conversion occasionally. How to add music from iTunes onto Windows Movie Maker? How to listen audio Bible offline on Android?